After two years of doing this, Arnold decided that this was not for him so he then took up a cadetship at Repco and over the next four years worked his way up to Store Manager by the time he was 21yrs. Arnold then moved on to the State Insurance Office and worked in their call centre working his way up to become an Underwriter over the next nine years. By this stage Arnold is married with a young family and decided to get into business for himself. He moved the family to Phillip Island where he purchased a TAB agency and ran that for three years before being attracted back to the big city. Arnold then worked as the Chief Driving Instructor for Road Runner for five years. During this time he worked his way through a Certificate 4 in Training and Assessment and wrote all the training manuals for all the Instructors. After this experience, Arnold moved to Arrow Training Services as a Trainer and Assessor specialising in warehouse and storage, transport and logistics, customer contact, front line management and retail and business administration. He then spent the next five years as the National Project Manager for New Skills Ltd. Using this experience, Arnold then took on freelance consulting as a "Skills for Growth" specialist a State Government initiative for small to medium sized businesses. With the recent cuts in State Government funding, Arnold decided it was time to get back into his own business again. His search for a business led him to Bathroom Werx. 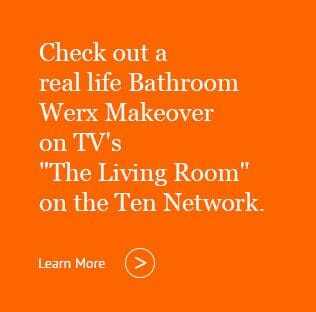 I was attracted to Bathroom Werx because of all the unique systems that they run. I like the idea of being in partnership with my Franchisor and the fact that this is a family business. The home renovation market is booming and I love being part of it. I have always enjoyed working with my hands and this is ideal work for me. There is a lot of enjoyment is making an old bathroom look like new again and watching my Customers faces light up as I transform their bathroom back to new", says Arnold. Arnold is also a passionate Basketball supporter. He started playing when he was 7 years old and played till he had to stop when he was 22 years because of a knee injury. Arnold also started coaching when he was only 15years and has progressed through the ranks where he now coaches at the highest level in amateur basketball competition in Australia. The next level up is the NBL which I could do but the competition for places is very tough", says Arnold. Arnold has an impressive coaching record having coached representative teams at Kilsyth, Knox, Eltham, Bulleen and Warrandyte. He has also coached semi-professional teams in SEABL (South-East Australia Basketball League) and is the current coach at Warrandyte Basketball Club of their Senior Men Big V Team. When asked what has kept him coaching for 37 years, Arnold replies : "Teaching young people life skills on and off the court. 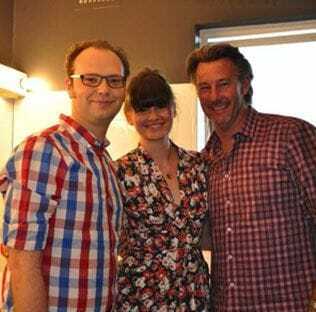 Arnold is married to Robyn and they have two children, Trent 22yrs and Rachel 17yrs. 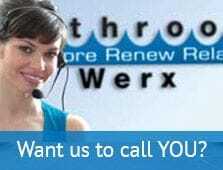 Call 1800-644-171 and ask for a Franchise Information Package to be rushed out to you or contact us here.